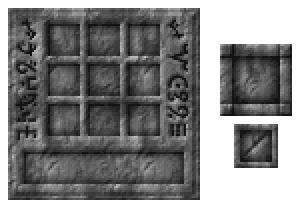 This article is about item from Thaumcraft 3. You may be looking for Goggles of Revealing from other versions of Thaumcraft. The Goggles of Revealing are a magical headwear, which can tell which and how much aspects are in Crucibles, Arcane Alembics, and Warded Jars. They can also tell the amount of Aura and Flux in the atmosphere. It is possible to repair them in an Anvil by combining them with Gold Ingots. The Goggles of Revealing are well suited to divining the mystical world. Not only do they make aura nodes visible to the naked eye, they also allow their wearer to see the mystical interplay between nearby nodes. The most useful feature of the goggles is that while wearing them, you can see the precise mixture of aspects within a crucible. Goggles of Revealing (Thaumcraft 3) has no known uses in crafting. This page was last modified on 4 April 2019, at 10:41.